Many of us are dealing with a problem that is chronic, and we might not even recognize it. Although there are many health issues that could cause us problems, this issue is one that could lead to issues with our health and it is simple to correct. I’m talking about dehydration and if you just get more water daily, it can make a difference in your health. Of course, we have a wide range of choices when it comes to hydrating the body. Some of us will automatically grab a store bought, bottled water because of the convenience. Studies have shown, however, that drinking warm lemon water first thing in the morning is the choice you should make. In fact, it might be the best thing you do all day. When you make warm lemon water and drink it upon waking, it provides you with a higher level of hydration. There are many essential vitamins and nutrients in this drink, including vitamins C, A and B complex. It also contains potassium, iron, fiber and calcium. Due to the antibacterial and antiviral properties, it helps to keep your immune system at higher levels.The best part it, it is super simple to make, so you can easily fit it into your daily regimen. 1. Immune system – since lemon water has a lot of vitamin C, it can boost the immune system. It also helps your body to absorb nutrients and the saponins in lemons are antimicrobial. 3. Digestion – The natural ingredients in this drink help to trigger the liver to produce bile. It also helps to remove toxins from the body. Drinking lemon water will reduce bloating, indigestion and heartburn. It also helps with diarrhea and constipation. 4. Skin – Lemon water purifies the blood and stimulates new cell growth. It’s a great way to have glowing, young skin again. 5. Weight loss – Are you trying to lose weight? The pectin fiber in this drink controls hunger. It also speeds up the weight loss by making the stomach alkaline. 6. Hypertension – If you have high blood pressure, this drink can hydrate the lymphatic system. It is naturally high in potassium so it helps you mentally and helps you to sleep. The reduction in stress can lower HBP. 7. 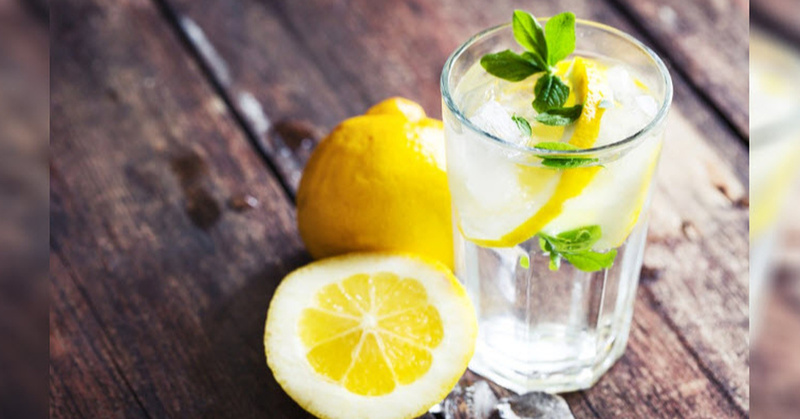 Energy – Lemon water hydrates and oxygenates, helping to boost your energy levels. 8. pH Levels – Lemons are acidic but in the body, they turn alkaline. It can reduce inflammation and is great for the joints. 9. Throat infections – lemon water has antibacterial properties, so it can reduce your risk for both throat infections and respiratory issues. Gargle with it for a more pronounced effect. 10. Bad breath – When you drink lemon and honey daily, it reduces bad breath. It has to do with how it cleans the mouth and the acidic nature of lemon. It also triggers salivation, killing bacteria that leads to bad breath.